The Economic Developers Council of Ontario (EDCO) concluded its 62nd Annual Conference & Showcase with the President’s Dinner and Awards Ceremony announcing the recipients of the 2018 Awards of Excellence. 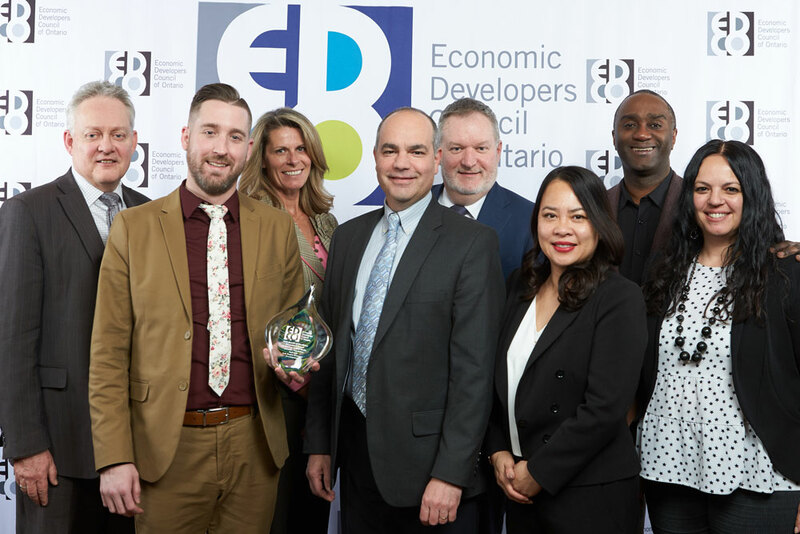 EDCO’s Awards of Excellence program aims to recognize and celebrate the outstanding work in economic development happening around the province of Ontario. This year, 98 submissions were received and evaluated by an expert panel of judges with experience in marketing, communications, tourism and industrial/commercial development.